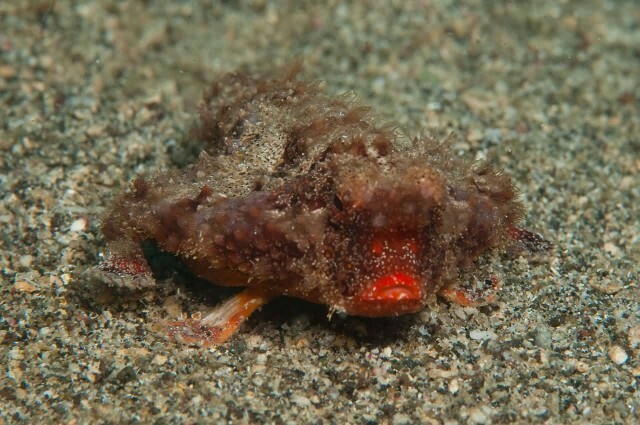 The red-lipped batfish or Galapagos batfish is a fish of unusual morphology found in the Pacific Ocean around the Galapagos Islands and south to Peru at depths of 30 m or more. Red-lipped batfish are closely related to rosy-lipped batfish. This fish is mainly known for its bright red lips. Batfish are not good swimmers. They use their highly-adapted pectoral fins to “walk” on the ocean floor. 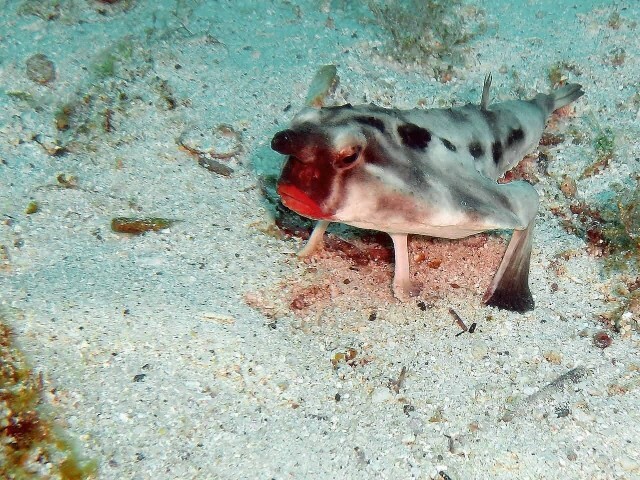 The body color of the Red-lipped Batfish is light brown and a greyish color on its back, with a white stomach. As the name of the fish states, the batfish has bright, almost fluorescent, red lips. The species is mainly feeding on other small fish and small crustaceans like shrimps and mollusks. Although they are very strange looking but they are harmless to humans.